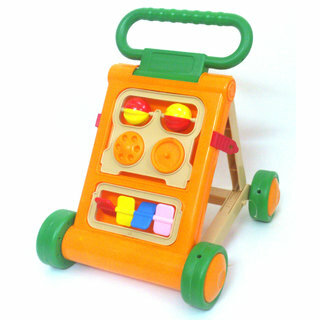 Baby Activity Walker that helps your baby to stand up and take his or her first steps in complete safety. All your baby has to do is to hold onto the handle, start walking. The child supports himself/herself and takes first steps, learning how to co-ordinate the movements and developing balance. 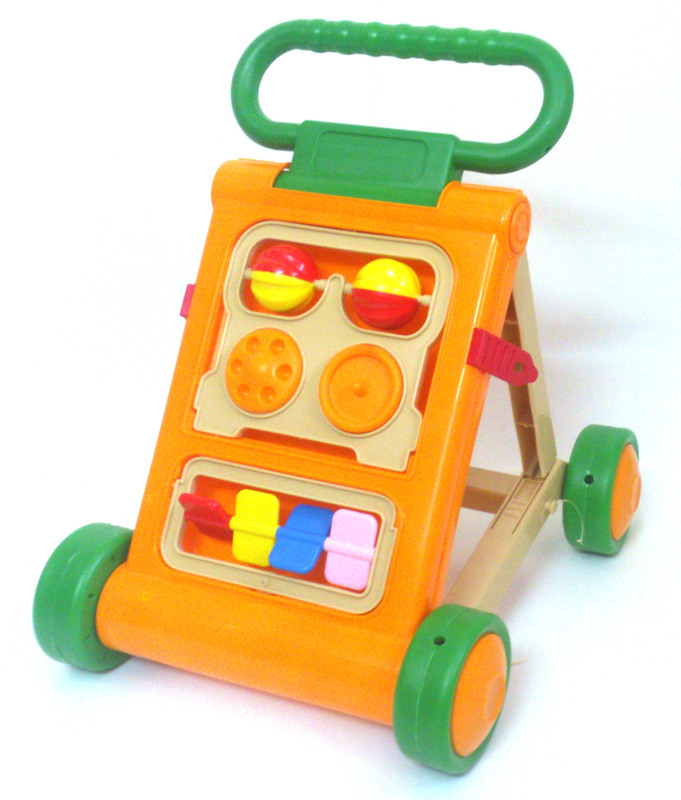 The baby walker is also an activity center that helps stimulate your baby's imagination and coordination skills. Activities include flipping panels, spinning balls. Walker folds for portability and storage. Two toys in one: a baby walker and an activity center.